We started the day at Minutemen Missile National Historic Site near Wall, SD. Unfortunately, tours of the missile launch center were sold out until 2pm, so we had to switch around the schedule and go through the Badlands first. While the Badlands were impressive, they were very similar to stuff that I had seen coming from the west. That said, they are smack dab in the middle of the Great Plains, which makes them a big surprise especially if driving from the East. One interesting feature about the Badlands is that the entire park is open for exploring, not just established trails. That means that anyone can climb anywhere despite erosion caused by visitors. Mike and I climbed up to the top of one of the steep hills before driving to several lookouts. 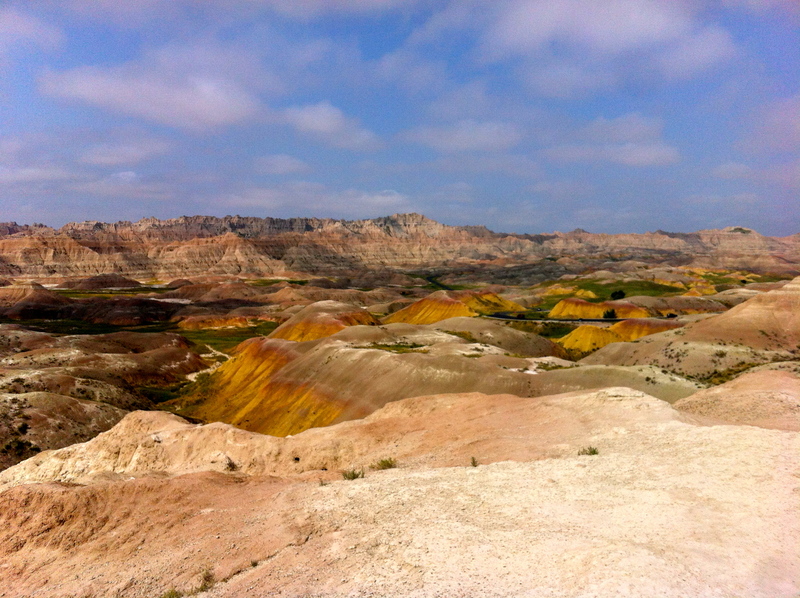 In terms of scenery, the Badlands look like the Painted Hills on steroids. The hills have so many different colors! 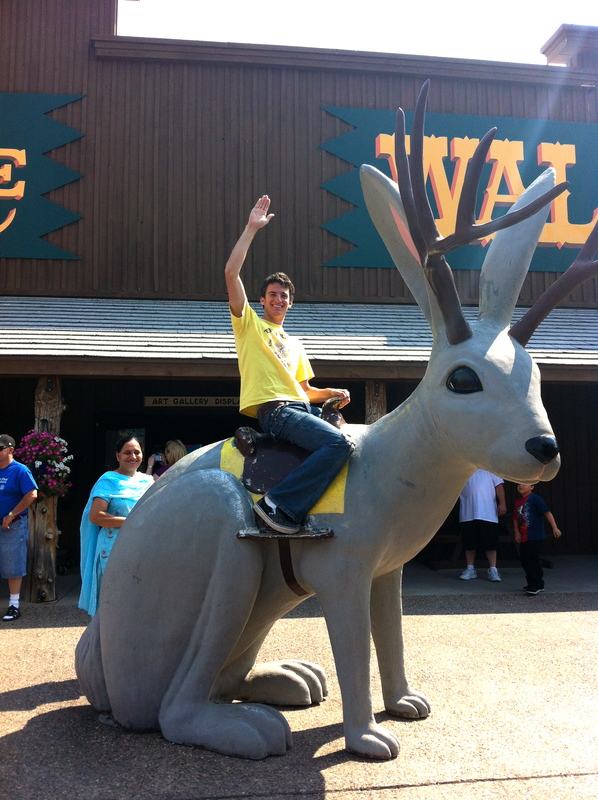 After the Badlands, we went to the one and only Wall Drug store in Wall, SD. With ads stretching for over 1000 miles on the highways, it is impossible to not go to Wall Drug. The store is certainly in the running for the world’s largest gift shop, with over 100 people working in the store at one time. Strangely, many of the employees are foreign who wanted to come to America for the summer. They certainly made a poor choice by coming to Wall, South Dakota, as there is nothing else going on in the town besides Wall Drug. 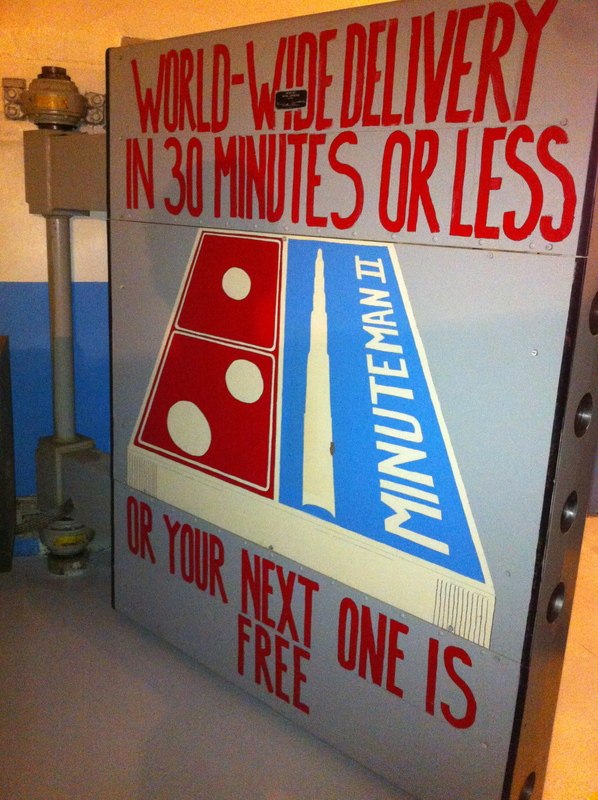 After Wall Drug, we went to the Minuteman Missile site, which is a missile launch control site. The site itself is a tiny building located off an obscure unmarked exit on the interstate. Without the directions given at the visitor center, I certainly would not have known that the launch site for 50 nuclear warheads are within 400 yards of the highway. 3 hours past Minuteman Missile is the town of Mitchell, home of the Corn Palace, which is the world’s only Corn Palace. 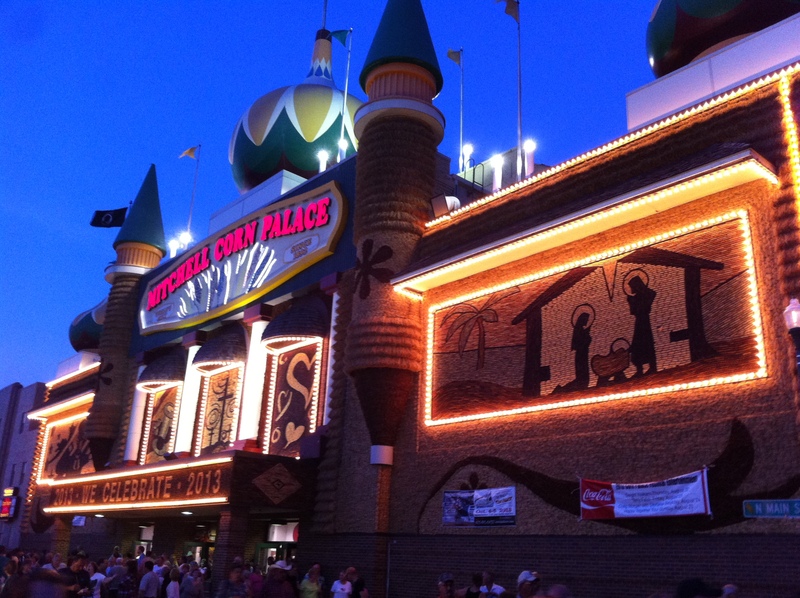 The Corn Palace is a auditorium with an exterior that is made of corn. Every year the town redoes the exterior. Normally, Mitchell is a really boring town, but the day we arrived was the Corn Palace Festival, a 3-day festival with a carnival and concerts every night. Our night, we saw Dwight Yoakam, one of my favorite country artists. He was a great performer who let his music do the talking. The audience was fairly lively for a country show, as people started swing dancing in the aisles. 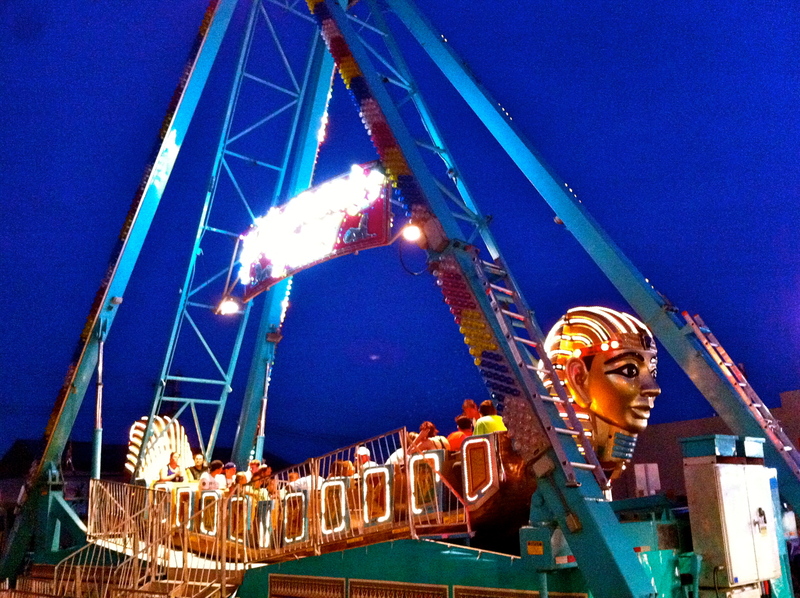 After the concert we wandered the carnival and saw the Pharaoh’s Fury, a ride that I saw at the ThurtenE Carnival back at school. Mike and I both rode the ride, which made me nostalgic for the carnival. We then went to a locals bar called Dr. Lucky’s. Mike was apparently the lucky one, as all these girls at the bar kept hitting on him. Must have been his mustache.